With a month left before Black Friday and the official start of the holiday shopping season, Google is rolling out some new AdWords features. The new tools mix mobile ads, Google Assistant and new ad formats to drive in-store traffic this Christmas. After a testing period that began last year, Google has officially launched their Showcase Shopping ads and made it available to more advertisers globally in 15 new countries. This ad format let brands attract customers with a collection of lifestyle images and products to help people explore and discover what they want to buy. As one would expect, Google has released data that shows the new ad format was useful for companies involved in the trial. On average, users search for a merchant’s brand terms twice as often after they’ve expanded that brand’s Showcase Shopping ad. And for a specific example, the team for Overstock.com recently created more than 50 Showcase Shopping ads and saw a 300 percent increase in brand searches and 32 percent more click-assisted conversions leading to a purchase compared to standard Shopping ads. 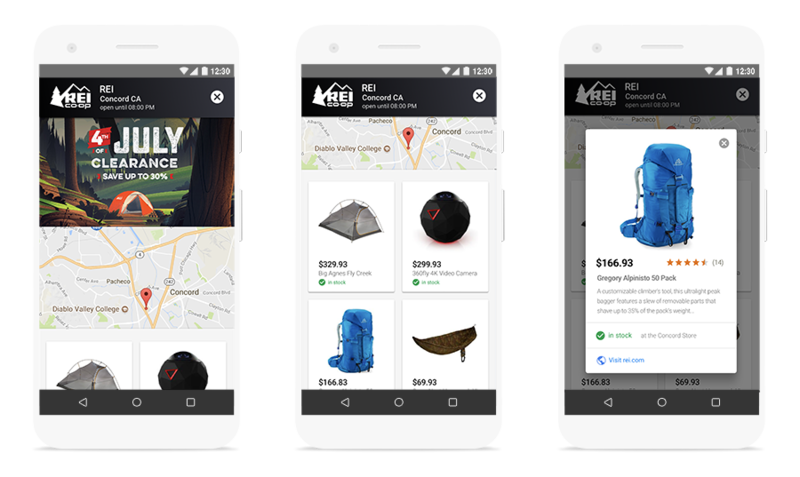 Google is releasing a new ad tool that will make it easier to help people find local stores when they use their Google Assistant for voice search. 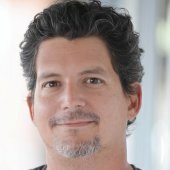 Google notes that 40 percent of shopping-related searches on Google are still for broad, research-oriented terms like “women’s athletic clothing” or “living room furniture.” Now, when people ask the Assistant, “Ok Google, where can I buy _____ nearby?” on Google Home or their phones, holiday shoppers can easily learn what’s available in a store around them. As long as a business has a local product inventory feed, their products may begin automatically appearing in relevant results on the Assistant. Google will also use the local product feed data in ads to help drive traffic. 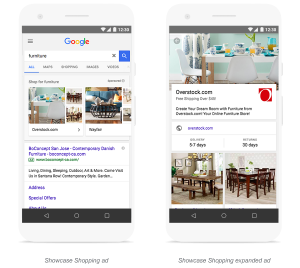 Google will be introducing a new local ad for Display so business owners can spotlight in-store products and promotions, the designs and layouts are similar to what would be seen in print catalogs or circulars. The push for a greater focus on mobile advertising makes sense given the research Google has done on the matter. 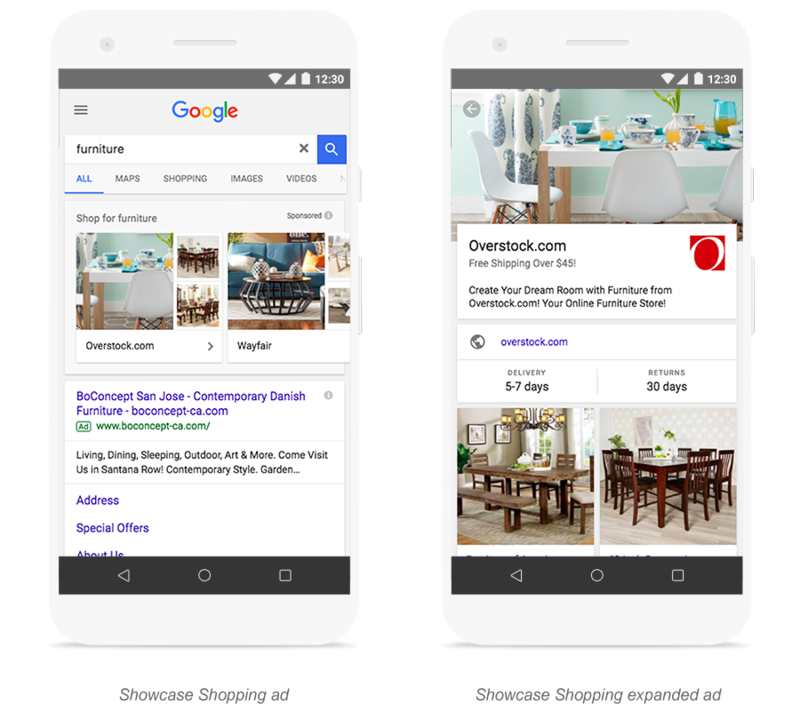 According to some Google research mobile ads generate 160 percent more incremental store visits compared to desktop and tablet and that local ad efforts such as local inventory ads drive an 80 percent higher rate of incremental store visits. Another study cited by Google found that people who click on a Google ad before visiting a store were over 25 percent more likely to buy something while they’re there and spend over 10 percent more, on average. Google has many other features, such as new reporting options, that will become available to marketers before the start of the holiday season. Be sure to check your AdWords account to see how your business can take advantage of these new tools. For more news about holiday advertising in 2017, read this article on some other new, online ad formats.